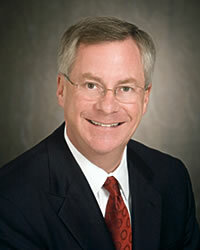 Dr. Joel S. Miller, DMD, MAGD, has recently trained in neuromuscular dentistry. Dr. Miller, now a Master of the Academy of General Dentistry, has also received training in neuromuscular dentistry at the Las Vegas Institute for Advanced Dental Studies. Neuromuscular Dentistry can help alleviate symptoms such as headaches, neck and shoulder pain, jaw pain, clicking or popping in the jaw and tinnitus (ringing in the ears). Dr. Miller is currently located at 27616 Newhall Ranch Road in Valencia and is building a new office for his guests to offer the most current technology dentistry has to offer. For more information visit www.valenciasmiles.com or call 257-5858. Saugus Speedway, Santa Clarita's largest special event facility, is now taking sign-ups for the 11th Semi-Annual Spring Home & Garden Show. Attendance for the three-day event tops 18,000 people. The spring show will take place on May 18, 19 and 20. Spots are limited and fill up quickly. Call 259-3886 or visit www.saugusspeedway.com for more information. The unique new boutique in Stevenson Ranch offers elegant designer clothing, yoga specialist garments, unique jewelry and hand-crafted 100-percent silk home furnishing items like runners, tapestries, table Cloths and duvet covers. A design center for DIY projects to make jewelry, accessories and gifts is also available for special occasions like birthdays or baby showers. For more information call 288-2599. The company offers travelers custom-designed and themed individual (and group) tours to the UK and Ireland. For more information call 866-4UK-TRAVEL or log onto www.acrossthepondtours.com. Dr. Gina Caravaglia, D.O. will be hosting the event on March 6. Guests will learn new theories for the cause and cures of fibromyalgia. The lecture will take place at Dr. Caravaglia's office located within Achieve Optimal Health at 25078 Peachland Avenue, Suite B in the Peachland Medical Arts building. For more information call 284-6155. Achieve Optimal Health's priority is to get clients back to a healthy life. Owner and nationally-certified colon hydrotherapist Cindy Krebs has over nine years experience and welcomes the community to come in and enjoy the cleansing and detoxification that occurs within the office. Achieve Optimal Health is a total Wellness Center offering colon hydrotherapy, an osteopathic physician, an enzyme nutritionist and two massage therapists. For more information, please call 661-253-2900. 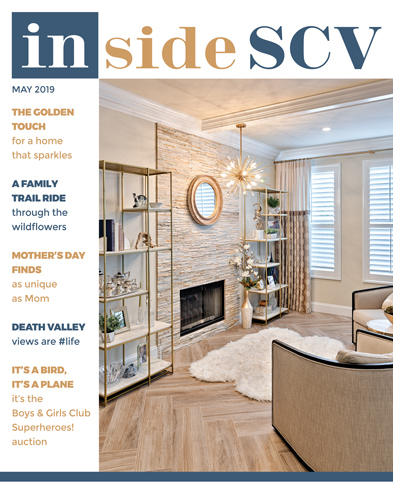 Pardee Homes' Valencia-based LA/Ventura counties division now offers a wider choice in new home design and location to SCV homebuyers. 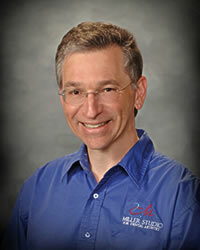 "We deliver homes by a builder that buyers trust," said Jim Bizzelle, divisional VP. "Since 1921, stable, committed performance has earned that trust." An on-site school, generous open space and upcoming community park highlight Pardee Homes' Fair Oaks Ranch, where starting prices are from the $500,000s to the $700,000s at four neighborhoods. On tap are Spring Canyon in the Stone Crest master-planned community; Golden Valley Ranch, the company's earth-friendly master-planned community; and Skyline Ranch, where most acreage will be permanent open space. 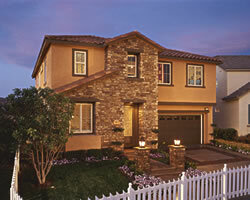 See www.pardeehomes.com for more information. Courtney Bourdas Henn received a "40 Under 40" business award from the San Fernando Valley Business Journal. Mountasia was nominated for 2006 Large Business of the Year by the Santa Clarita Valley Chamber of Commerce. Creative Years invites the community to its annual Open House from 9 a.m. to 12 p.m. on March 24. Learn about preschool open enrollment for children ages two to five for summer and fall sessions. For more information call 254-0718 or visit www.creativeyears.com. Dr. Julie is a fellow of the American Association of Feline Practitioners and is a highly-regarded veterinarian known for her love of animals and friendly personality. She brings exotic animal/"pocket pet" services to the Cat Dr. & Friends hospital. Dr. Musella is building an excellent reputation for her work both with cats and companion exotics and she can be found at The Cat Dr.'s new location at 26055 Bouquet Canyon Road. A home-brewing kit, given as a Christmas present, later lead to opening, and successfully running, a brewing company and restaurant a decade later. Owners Rob and Laina McFerren are celebrating 10 years of providing SCV with great brews, great food and great service. The company, already a well-established casual dining location, also serves as a facility for business and social gatherings with a newly-expanded private banquet room and covered, heated patio. Wolf Creek is located at 27746 North McBean Parkway in Valencia. Cobblestone Cottage and Kathy Allie have been mainstays in the local community since 1987. "[Valencia] was just on the verge of growth when we first opened up," says Allie. "We wanted to be different than the other 'country' stores; we are more high-end, and there's a need for that here." Since 1987, the store has grown from its original 900 square feet, selling Marty Bell, to the nearly 3,600 square feet it is today, selling many other product lines, like Brighton and Vera Bradley. SCV Moulding & Design Center recently held an official SCV Chamber of Commerce ribbon cutting ceremony. SCV Moulding & Design Center offers below-retail prices on moulding, windows, doors, cabinetry and more for total design makeovers and smaller projects. For more information call 295-6905. Lori Dalton founded She Bee's Accessories three years ago. Known for utilizing semi-precious stones and crystals, Dalton designs and creates custom women's accessories and pieces for Autism Awareness and fundraising. She Bee's is now doing in-home boutique parties and will soon be found on the web. For more information call 310-508-7956. 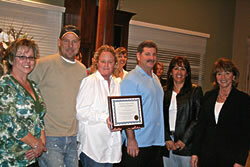 Scattaglia, a top producing agent, was recently awarded for his outstanding sales production for 2006. "I'm proud to be associated with a company built upon integrity, energy and a never wavering goal to achieve 100-percent client satisfaction," he says. For more information call 317-8486. Williams Homes was founded in 1997 on the principles of integrity, trust and partnership - the key ingredients to the locally-based homebuilding company's notable success. In the last decade, Williams Homes has developed a strong following among homebuyers throughout the Santa Clarita Valley by providing a variety of new home neighborhoods at price ranges for all stages of life. For more information visit www.williamshomes.com or call 222-9207. 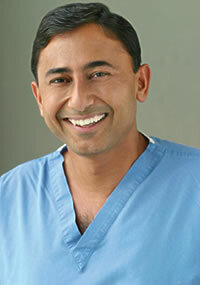 Dr. Rajesh Khanna now has offices located in Santa Monica, Westlake Village and a new facility in Valencia. Khanna is certified by the American board of Ophthalmology and is fellowship-trained in corneal and refractive surgery. Super-LASIK surgery is one of his many specialties. Conductive keratoplasy, a procedure using radio waves to alter the shape of the cornea, is yet another method Khanna performs for patients over the age of 45 with reading vision problems. For more information visit www.khannainstitute.com or call 1-877-2KHANNA. Call to order your daffodils in support of the American Cancer Society by February 22. The flowers will be delivered on March 12. Daffodil Days is an opportunity to help find a cure for cancer and save lives. Dollars support the ACS's groundbreaking research, education, early detection efforts, advocacy and patient services. Contact David Hechter at 888-335-5868 or David.Hechter@cancer.org for more information. On January 27 over 20 of A.Allbright employees volunteered their time and talent to completely repair and repaint the exterior of James Little's home. Little has been caring for his seven nieces and nephews since his sister passed away in 1999. He utilizes all funds taken home from his job as a dishwasher to provide for the children, leaving little for home repairs. IRS/AARP-trained volunteers will be on hand to complete and file income taxes for seniors. Volunteers will be available on Wednesday and Thursday afternoons at the Senior Center, located at 22900 Market Street, from now through April 12. Appointments are required. Seniors must bring a picture ID such as a driver's license, last year's tax return, and this past year's applicable tax information with them to the appointment. There is no charge for this service. Call 259-9444 for more information. Sponsored by the American Advertising Federation, the ADDY® Awards offers art directors, graphic designers, web designers, photographers, illustrators and printers a singular opportunity to compete for recognition and excellence among peers all over the United States and Canada. Each AAF chapter administers a local awards program and the winners advance to one of 14 regional competitions. Regional winners move on to the national/international finals. Advertising Professionals of North Los Angeles County (AdPros), the local AAF chapter serving the Santa Clarita and Antelope Valleys, as well as the San Fernando Valley, is seeking entries for its local ADDY® Awards competition. With more than 70 categories in which work can be entered, the contest honors all forms of advertising across the broad spectrum of print, broadcast and digital media. Entries are accepted from AdPros members and non-members alike. To be eligible for consideration of an ADDY®, all work must have been published or aired between January 1, 2006 and December 31, 2006. Entry forms are available at www.adprosla.com. The deadline to enter is 5 p.m. February 16. James D. Hicken, president and CEO of Bank of Santa Clarita was recently elected to chair the Goodwill Southern California Board of Directors. Hicken joined the Goodwill board in 1989 and has played has played an integral part in Goodwill's triumphs and achievements over the last 17 years. Hicken's tenure as chair of the board continues a distinguished family tradition; his father, Daniel R. Hicken, served as GSC chair from 1973 to 1976. Running through the month of March, the College of the Canyons Employee Training Institute will improve students' negotiation skills in the new workshop "Advanced Negotiation Skills." Gina Rae Hendrickson, who has negotiated business disputes since 1989 and is a federal and state workplace mediator, will teach the workshop. Hendrickson teaches negotiation and mediation at the University of California, Santa Barbara and is a corporate trainer for collaboration in the workplace. Hendrickson is also a graduate of Harvard's Negotiation Program and is a certified practitioner in Neuro-Linguistic Programming, which is the study of how people receive information, learn and set goals. The workshop will run every Thursday from March 1 through March 22 from 1 p.m. to 5 p.m. The workshop fee is $440 per person and classes will be held in Building X-8 at College of the Canyons. For more information about the workshop and registration visit www.canyonsecondev.org or call the COC Employee Training Institute at 362-5657.